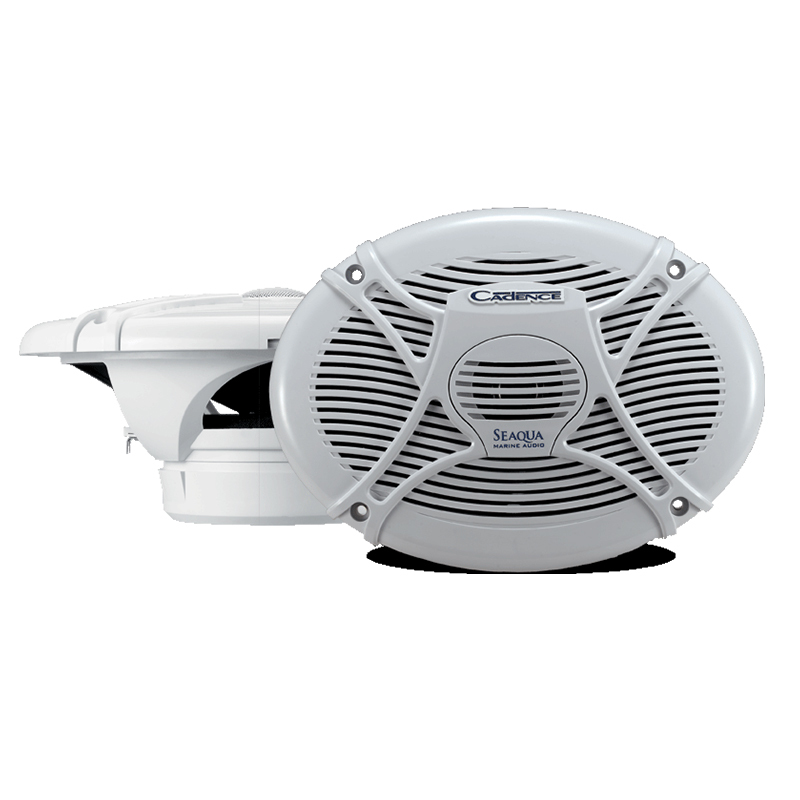 System Includes One Complete Pair of Speakers, Crossovers, Sealing Gaskets, Grills & Installation Hardware. This SQS69W is a 6” x 9” Two-Way High Fidelity Speaker System. It also falls into the SeaQua Series category. These speakers come in a White finish. High quality and high value come together in the all new SeaQua speakers. The product of premium materials and quality workmanship. 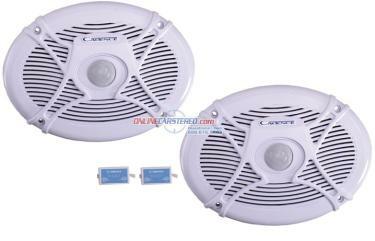 These speakers are fully marinized against salt & freshwater conditions The Marine Speakers are completely water/rust proof. 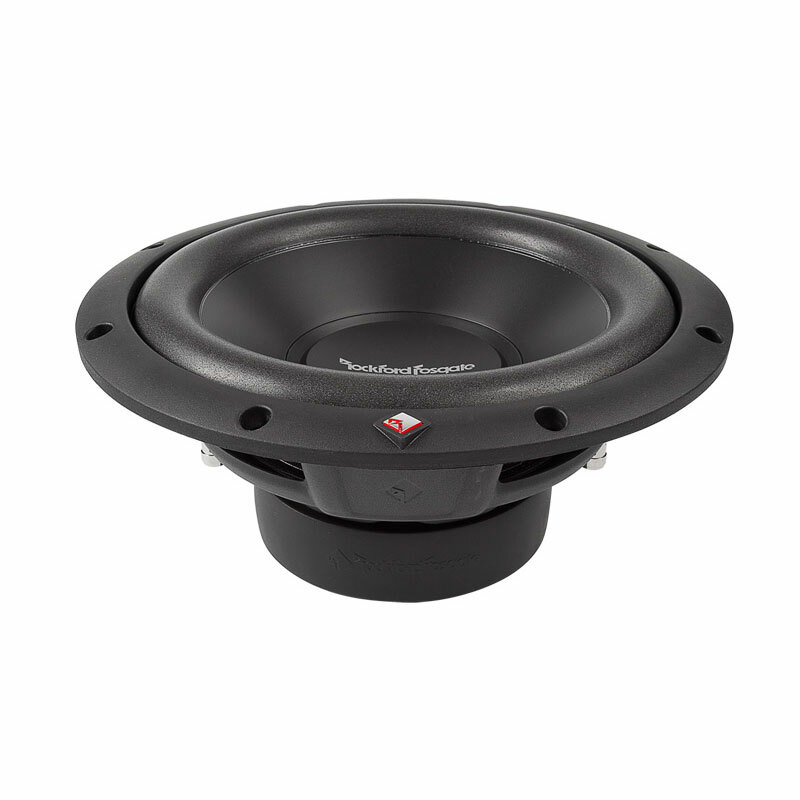 The 6” x 9” Two-Way High Fidelity Speaker System is made of Poly Carbon Cone with Resin Coated Cloth Surround They also feature an Oversized 1.25” ASV voice coil. The speakers include a 13MM PEI Dome Neodymium Tweeter. It also has a Built-In Crossover Network. It includes one complete pair of speakers. Also Included are sealing gaskets, grills, & installation hardware. 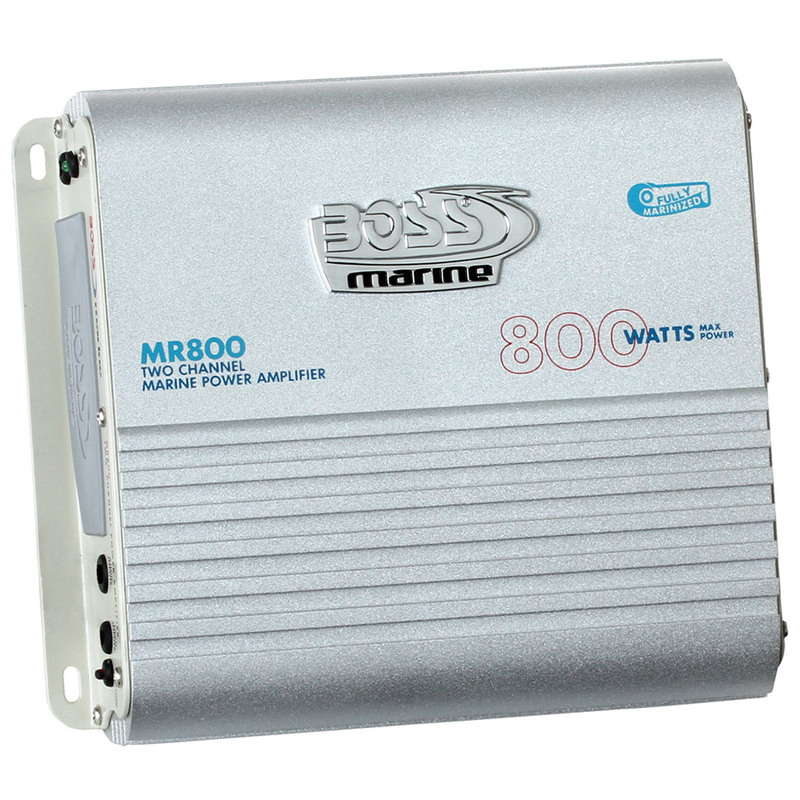 Featuring an RMS Power Handling of 120Watts. Also, it has a Peak Power Handling of 240 Watts. The Frequency Response pushes 75Hz-20KHz while the Sensitivity pushes 90 dB. It has a System Impedance of 4-Ohm. The Mounting Depth is 3.4". The size of the Speaker is 6” x 9”.